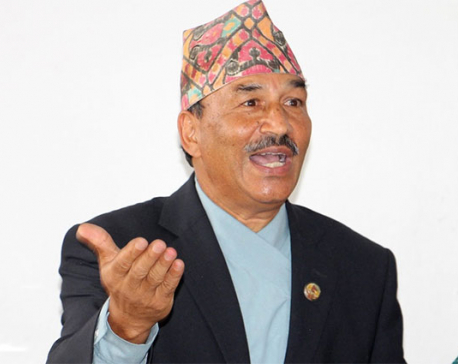 KATHMANDU, June 20: Deputy Prime Minister and Minister for Foreign Affairs, Kamal Thapa, has informed the Monday's meeting of the Legislature-Parliament that 14 Nepalis have lost their lives in a terrorist attack at Kabul, Afghanistan, this morning. 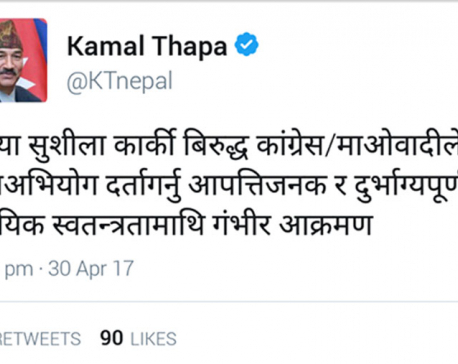 DPM Thapa also briefed that five Nepalis injured in the attack are receiving treatment. 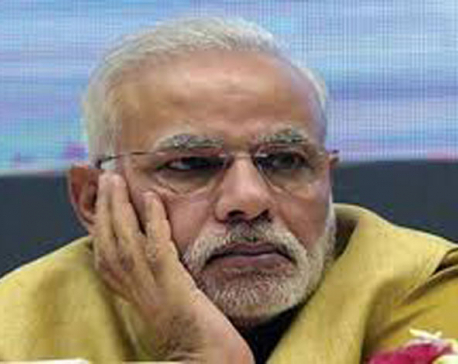 Referring to the attack as a crime against humanity, he said that the government of Nepal had strongly condemned the attack. Minister Thapa said that the Nepalis, working at a British Company there, came under a suicide bomb attack at 5:40 am (local time), when they were heading towards the Canadian Embassy from Nepali Company on a mini-bus. He further said that Charge d' Affaires of Nepali Embassy in Pakistan has already been directed to go there to make arrangement to bring the bodies of the Nepalis killed in terrorist attack to Nepal as well as arrange for the treatment of the injured. A desk has been established at the Foreign Ministry to provide necessary information to the families of Kabul victims as well as for other help. Wishing for eternal peace of those killed in the attack, the government extended heartfelt condolence to the bereaved families.